That one is Midway's Surface to air Missile, or S.A.M.I., from 1970! I'm sorry, but these games influenced "real" video games and deserve to be mentioned 100%! They are always left out of books dealing with video game and arcade history, and it's just wrong. Does anyone have a complete list of games that are pre-Computer Space? Here's two more links, including a video. Galaxy Game came out 2 months before Computer Space, but was only located at Stanford University. Well, see, now we're getting into semantics. Sure, there's no question those are Arcade games, but so are pinball, air hockey, love testers, those bowling games where you try to sink the ball in different rings, etc. Arcades have been around since the turn of the century. Back then they were nickelodeons and penny arcades, then later amusement halls and entertainment dens. 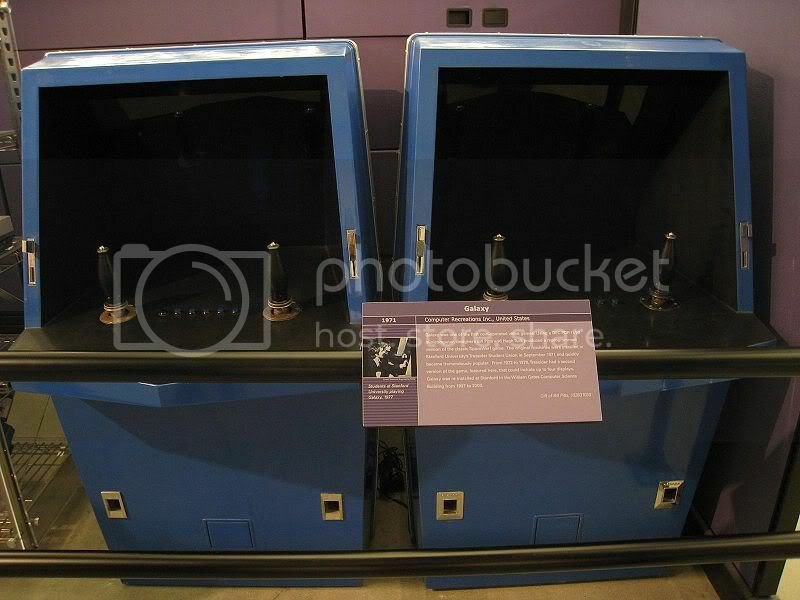 "Arcade" didn't come back into regular usage until the early seventies, and then it was only because Nolan Bushnell dubbed his games "video arcade machines". I'm not saying games like Persicope weren't important in their own way, but if you get down to the nuts and bolts of it all, Sega was just building sophisticated pinball machines. 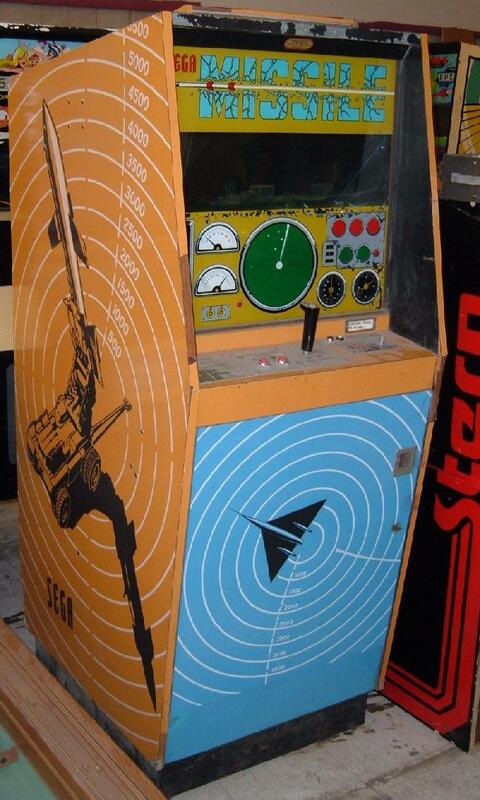 As a matter of fact, the only part of Periscope that wasn't recycled from their Pinball machines were the cardboard ships that ran on the track. Even the light gun was recycled tech that they used on earlier pinball machines. The cabinet itself was also bigger than the standard arcade fare at the time, and didn't really have much of a precedent, so I guess that was somewhat of an important development, but only for electro-magnetic games, as arcade machines were never that large. As a matter of fact just look at Computer Space- it didn't borrow any design cues from any of the machine operated game cabs of the time. Computer Space was still the original video arcade machine. 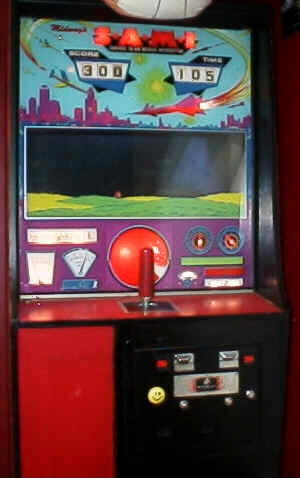 It had its roots in a million different ventures from years past, but Nolan Bushnell was the first to put it in a non-exclusive venue, put a coin slot in it, and wait for the quarters to start racking up. (And no, Galaxy Game doesn't count either, as you could only play it at Stanford U and was never intended to be mass marketed). Rob wrote: Well, see, now we're getting into semantics. Sure, there's no question those are Arcade games, but so are pinball, air hockey, love testers, those bowling games where you try to sink the ball in different rings, etc. Oh, I see your point Rob, but disagree on one thing. Pinball, air hockey, and love testers, while arcades, do not have that look. By "look" I mean the look of a coin-op video arcade game. The electro-mechanical ones did, and Computer Space and the others copied heavily off their feel. Heck, S.A.M.I. even has a joystick and fire buttons. Also, the object of these games was very similar to video games. The objects in the others was not as close. So while I agree they are not video games, I still think they should always be mentioned in any history of gaming book. Modern games heavily copied off their look and concept, and they had an influence on the rest that followed. That's how you can spot the makings of a good game book. 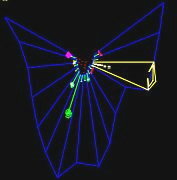 Most skip right from Pinball to Computer Space, but the better ones have at least a cursory chapter on those transitional games. Rob wrote: That's how you can spot the makings of a good game book. Most skip right from Pinball to Computer Space, but the better ones have at least a cursory chapter on those transitional games. I think someone should write a book on just the EM games. I'd love to learn exactly how many there were and what started it. I love gaming before my time. I can sware I remember playing one or more around 1979, even though that was past their prime. Anyone familiar with Phantom? I saw it at a gaming expo a couple of years ago, that was an old EMG. Stupid of me not to play it though. I agree that the magnetic games have to be counted as a heavy influence on the development of the video arcade and all should be included in a history. I would say it counts as a video game if it displays an image on a screen and is meant as a game or a simulation. May not necessarily make it an arcade, but still a video game. The old ones would be neat to play but I usually don't go for it unless it's in color, Sinistar being the exception. # Video arcade, a place with video games <-----by this definition wouldn't any place with video games in it be considered an arcade? maybe they should revise it to say a place with coin operated video games to fit their definition of an arcade game. This is from wiki and just for fun by the way.